Marie Schwartz started TeenLife Media because she was a mom on a mission. When Marie and her family relocated from New York to Boston, she began looking for high-quality programs and pre-college resources for her two teenage sons. She had grown up traveling between Europe and the United States and wanted to give her own two boys the same experiential learning advantages she had discovered being out in the wider world. Marie believes that teens need a to get out from under the hovering eyes of parents, teachers and coaches and have safe ways to develop the grit and resilience they will need in college and beyond. But most of the parenting resources she found were geared toward parents of younger children, not teens. So, she spent hours at her family’s kitchen table, scouring the internet, calling other parents, and collecting information on summer camps and community service programs for teens. 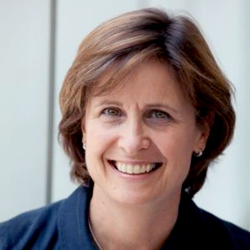 In 2007, after her first Guide to Overnight Summer Programs was a success, she founded TeenLIfe Media to connect teens, parents and educators with the best overnight summer programs; gap-year programs; STEM programs; performing and visual arts programs; therapeutic programs and schools; and independent college advisors and other precollege services. TeenLife.com now has more than 13,000 teen program and advisor listings and also features eguides, our TeenLife blog and ebooks. TeenLife Media also publishes several print guides a year.